Here’s a great chance to share Michigan Legacy Art Park with a friend! 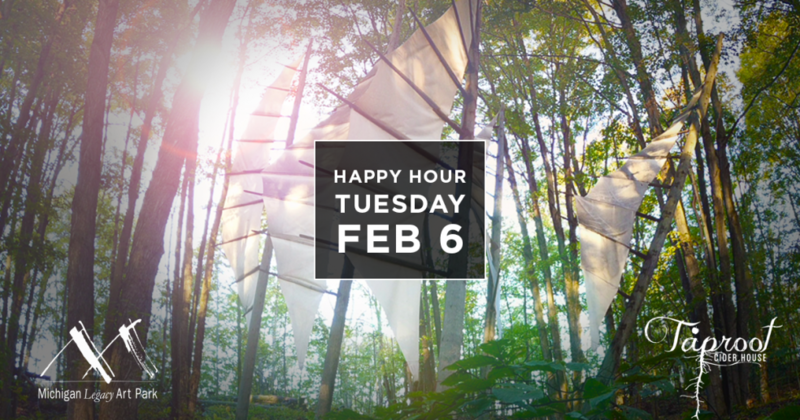 Join us at Taproot on February 6 from 4-6pm for a meet-and-greet to learn a little about the Art Park and the many different ways you can get involved. Taproot is offering app and drink specials for the event as well, so come and enjoy!